RARE FIND in Blackstone! A spacious 4 bedroom, 2.5 bath, 3413 sq ft, on a .37 acre lot. Barely lived in 4 year old Craftsman style home tucked away on one of the neighborhood's larger lots. This home backs to green space and has only one neighbor. Owners paid attention to detail with upgrades, which include recessed lighting, soft close cabinetry drawers in kitchen & baths, granite, master bath barn door, plush carpet and highly durable wood plank laminate flooring and completely OWNED SOLAR. 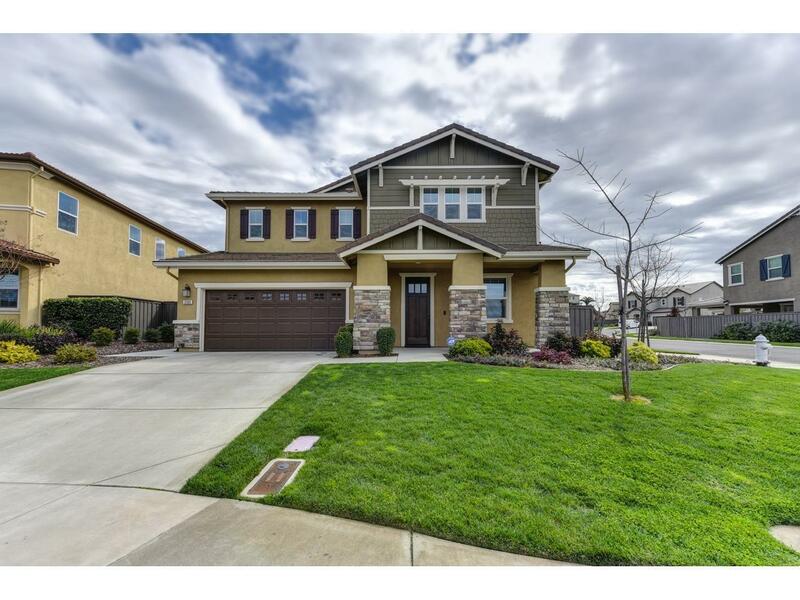 Home boasts ample storage space with extra closets in master bath, bedroom and loft. The over-sized downstairs den has a walk in closet that can be a 5th bedroom, just by adding a door. Large upstairs loft is more family living space and adjacent to an office/nook area with custom built in cabinetry & desk. Full access to all clubhouse amenities, gym, pools, and facility. Great schools, close to shopping and freeway. Hurry, this is the one! !